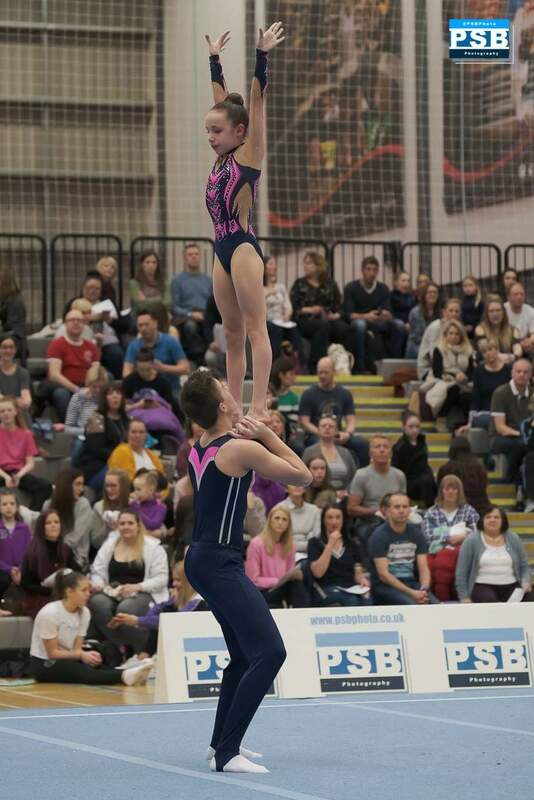 Last weekend both acrobats and tumblers were rounding off January with competition. 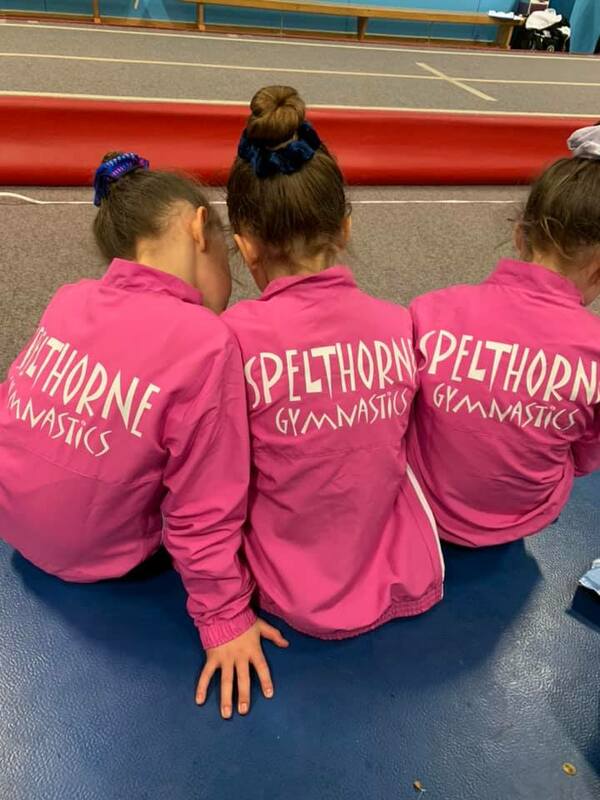 At opposite ends of the country we had our Spelthorne supporters out to cheer on our gymnasts. 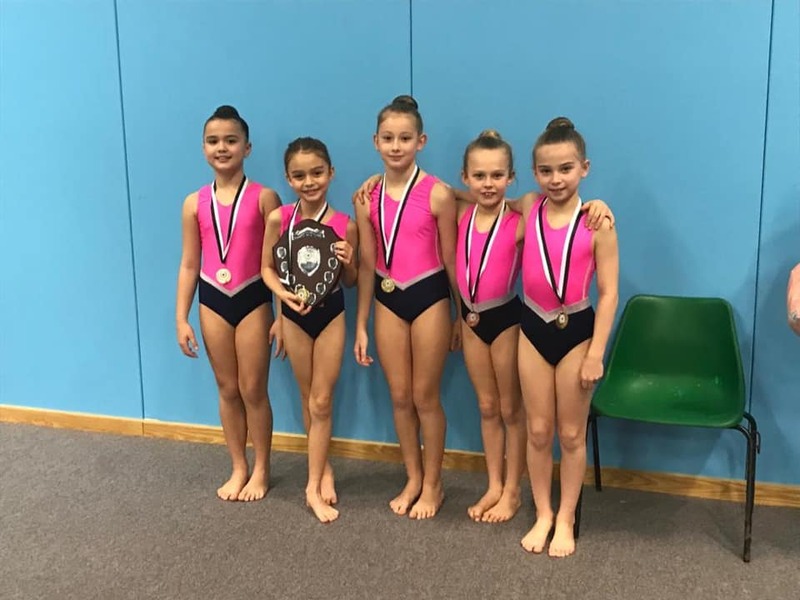 Down in Hastings at the Hollington invitational we had a huge tumbling team represent Spelthorne.. ability from Club to FIG level. 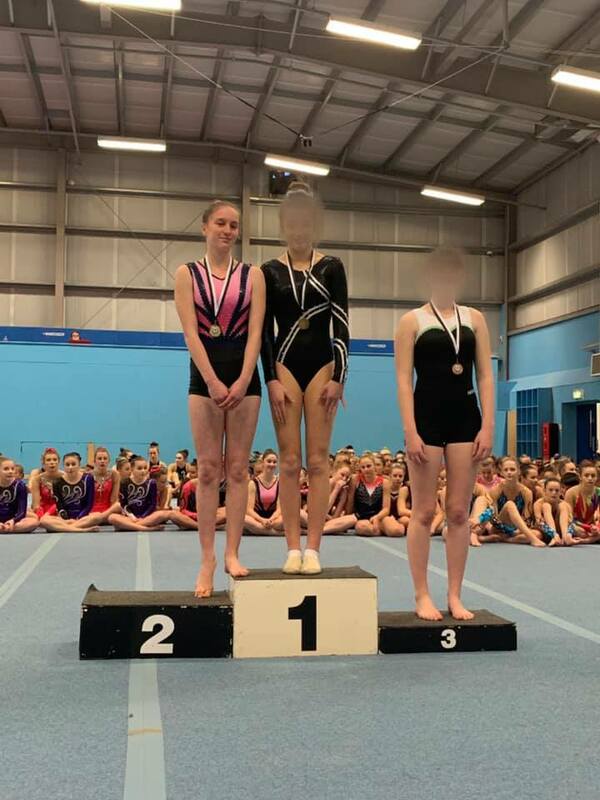 All gymnasts performing superbly and achieving great results. 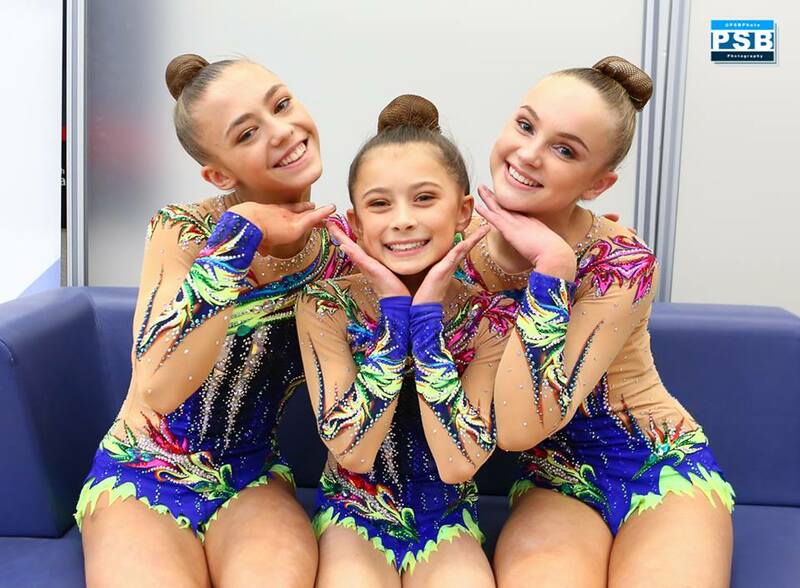 For those who were new to competition and those at FIG level, it was a chance to prepare themselves for a busy year of competition. A friendly competition environment to dust off any nerves and to prepare their game faces. 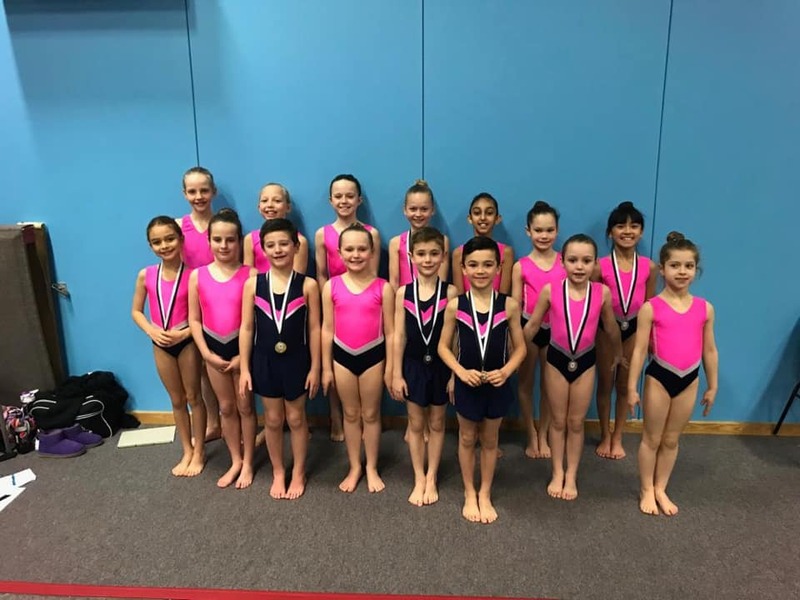 Day one at Hollington saw many achievements, not just in medals but in the confidence of our tumblers competing at their first ever competition! 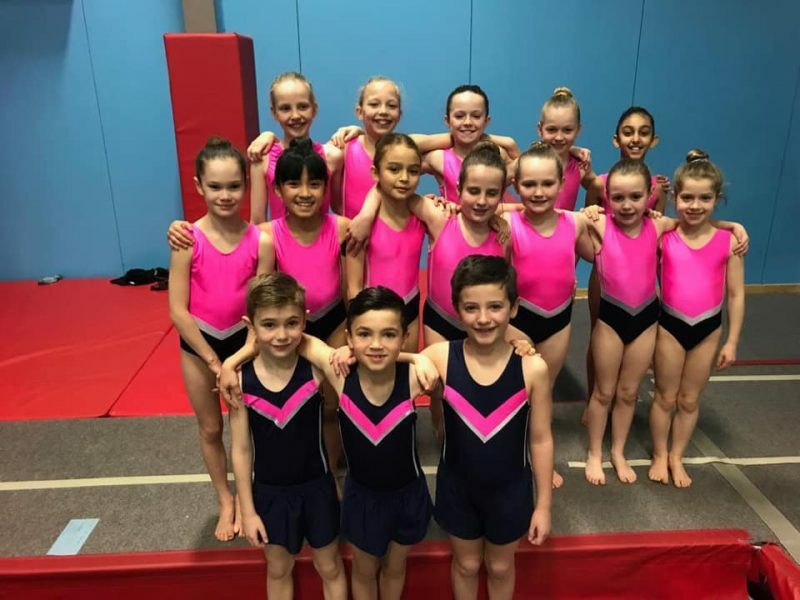 We had 20 gymnasts taking part on day one of the club level competition. 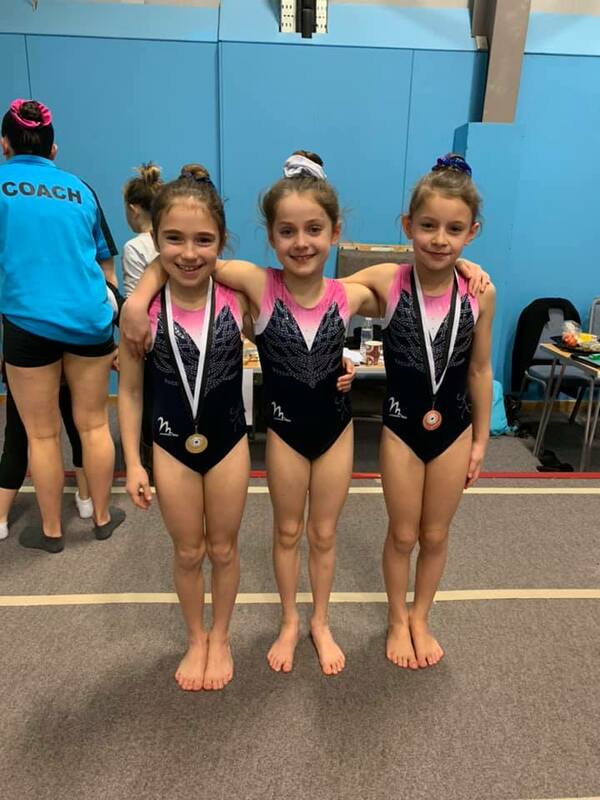 It was a fab first day not only did we have many medals for Spelthorne we also achieved the highest tumbling score of the day! 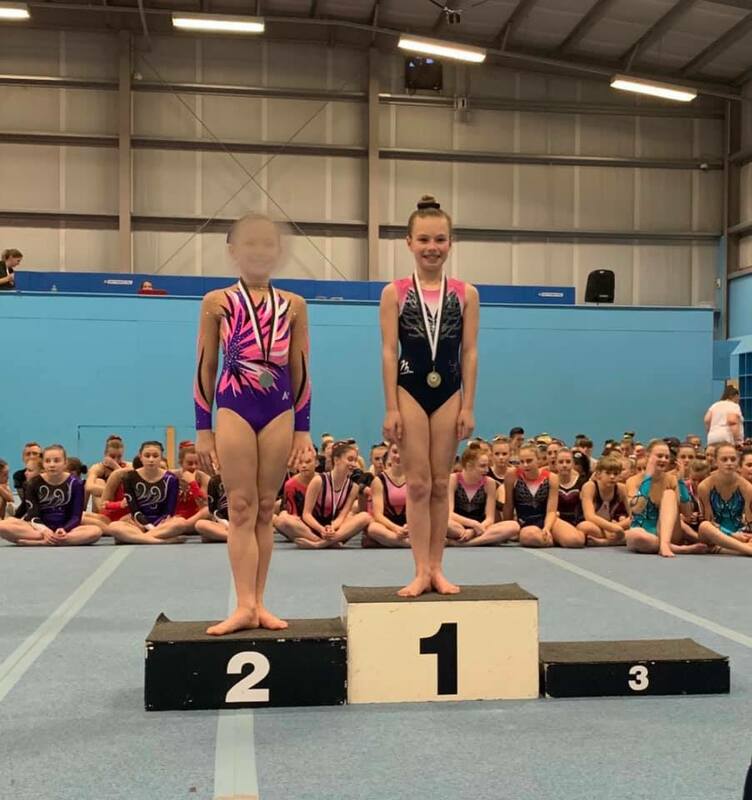 Well done to Milla Rajan! 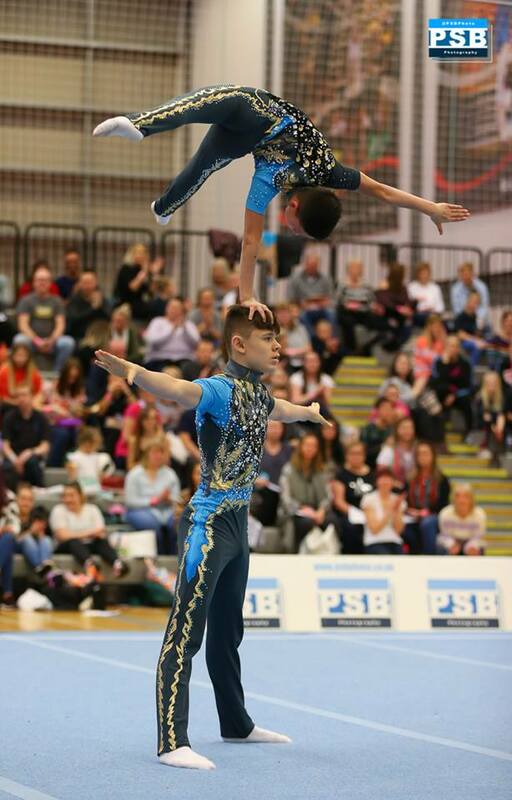 Day two was the turn of the elite and senior advance tumblers, where the success continued. 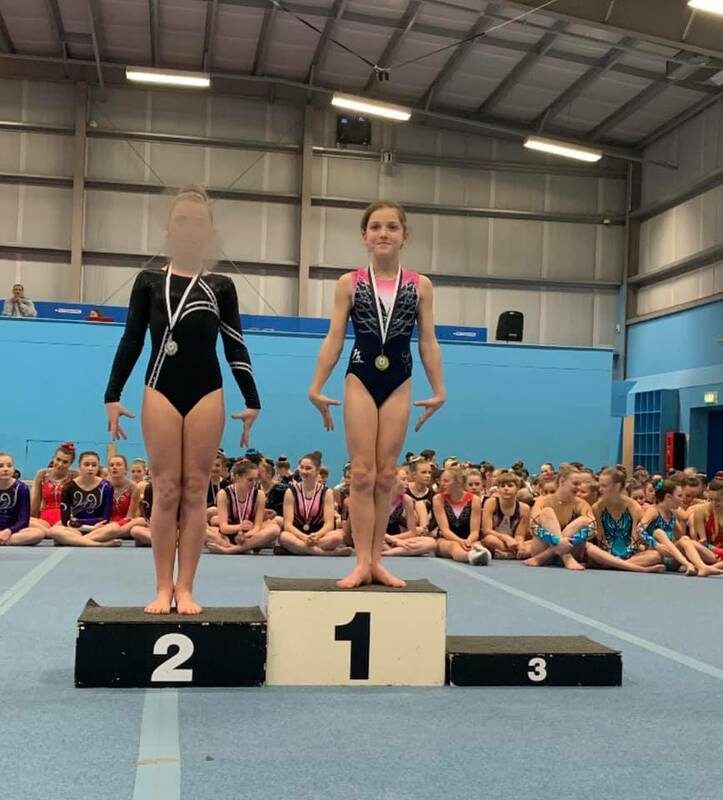 A fantastic result in the first competition of the year with plenty more medals to add on the success of the previous day. 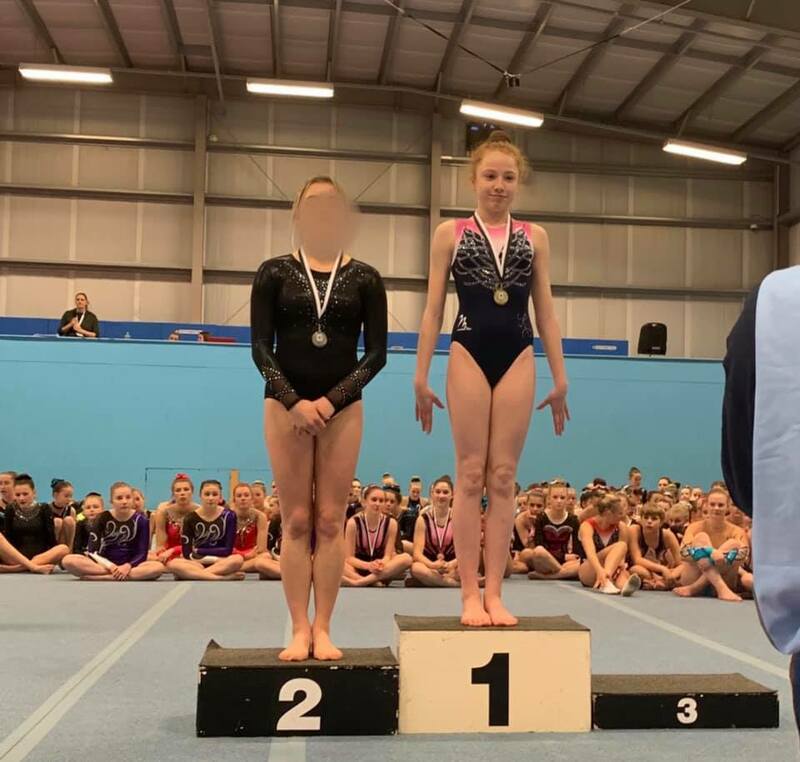 It was great to see the hard work pay off, at both club and FIG level. 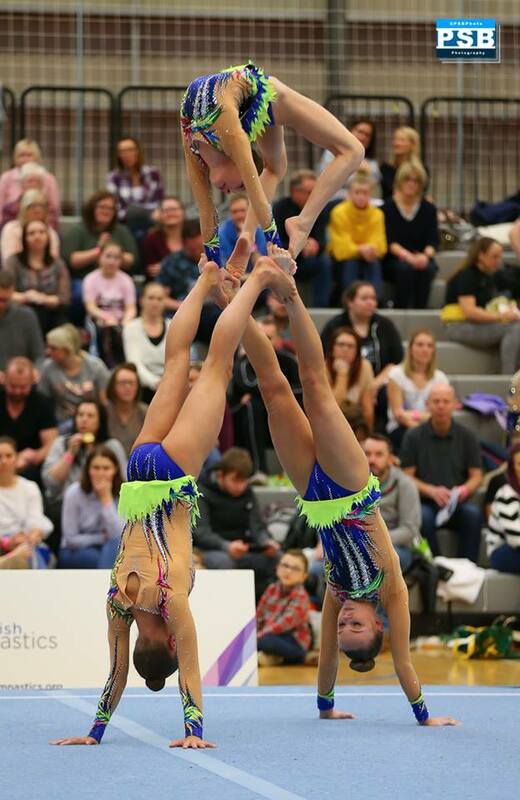 Having a growing love for tumbling in the club allowed us to take a mighty team, showing off everything we have to offer. 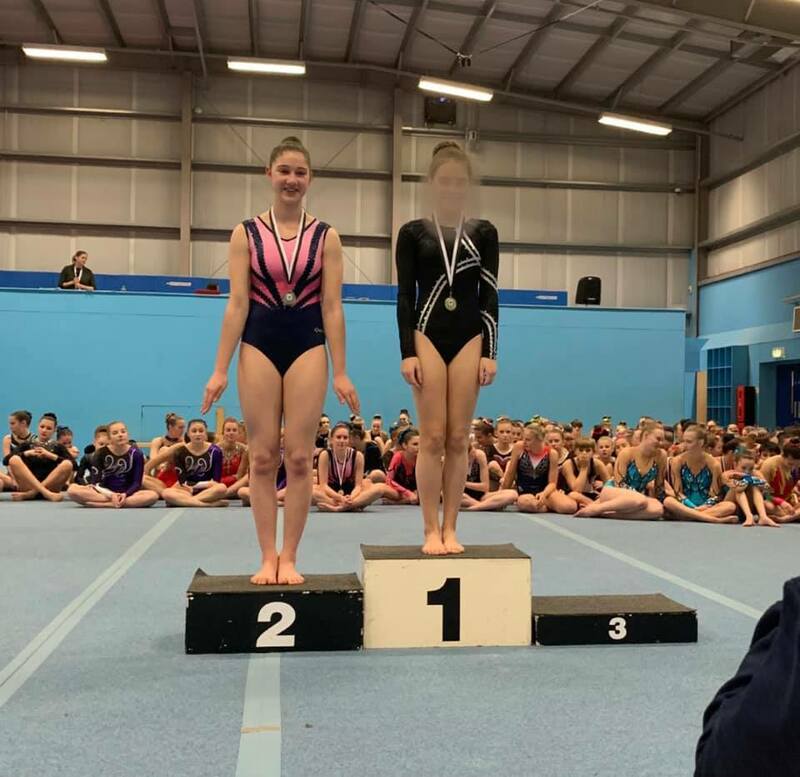 From starting out at club level to having had multiple gymnasts competing a double somersault in their routine, we could not be more proud of the level achieved in such a short period of time, and now with our new Prep Tumbling Squad- who knows what is to come!! 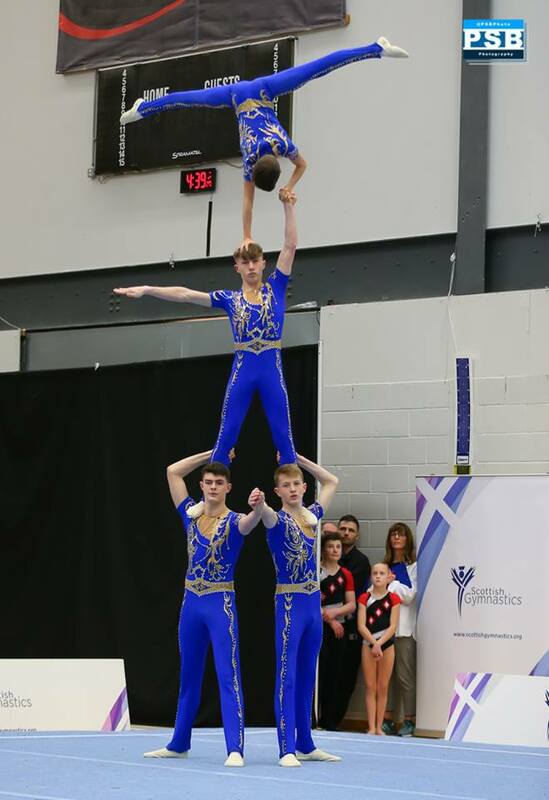 At the other end of the country we had or acrobats competing, a first for all of them too. Either competing in new partnerships or in a new age category. Something that can be a difficult transition. You spend so much time learning the pattern of your partner to perform such synchronicity, to have to adapt to a new partner and style can be a challenge, especially when you are expected to deliver no less than before. Stepping up to a new age category also throws out new complications. 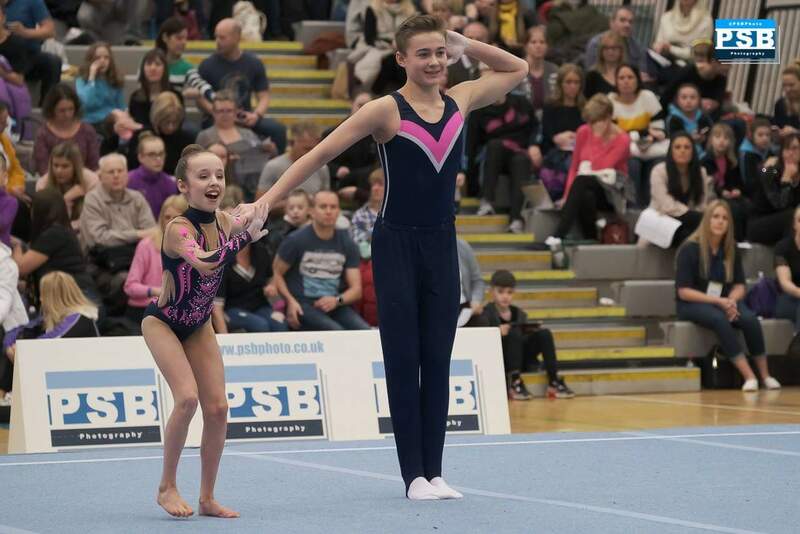 Our gymnasts as professional as ever, adapt without quibble, put in more effort to make it work. 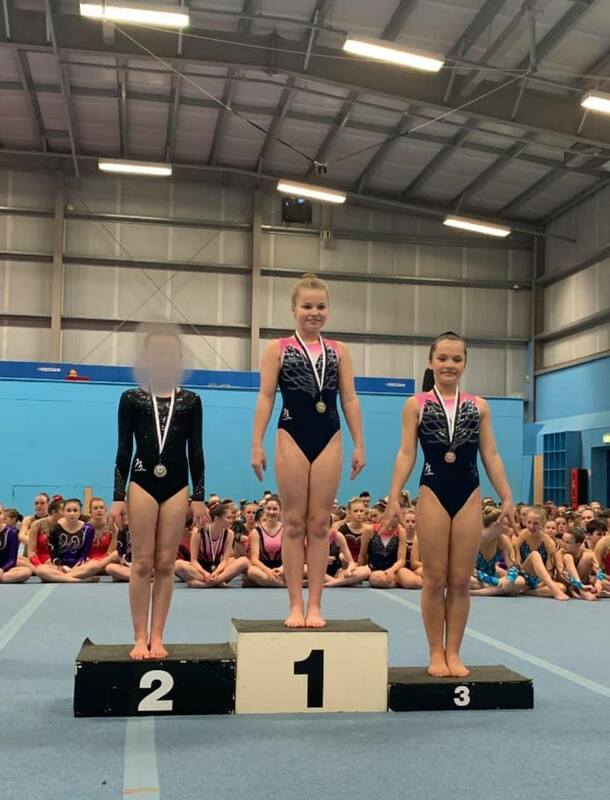 Last weekend the results showed, in a relatively short space of time the potential of these gymnasts are showing already. the artistic flair and high execution something only to improve upon throughout the 2019 competition year. Daniel and Carmen, Ethan and Archie and Ellie, Jolie, Ruby and Bradley, Jake, Jack and Harry all trained with purpose and confidence, ready for the weekend ahead. 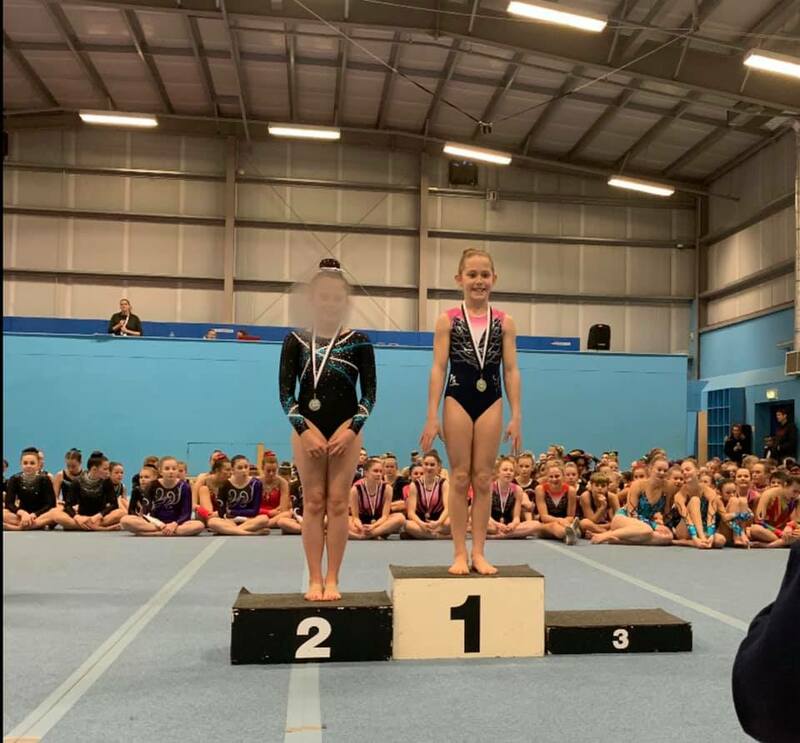 Each partnership showed great skill an determination over the weekend, resulting in solid execution and artistry scores. We are excited to see more of them this year and how they will progress. Our 11-16 new mixed pair Daniel and Carmen, finished in 1st place. 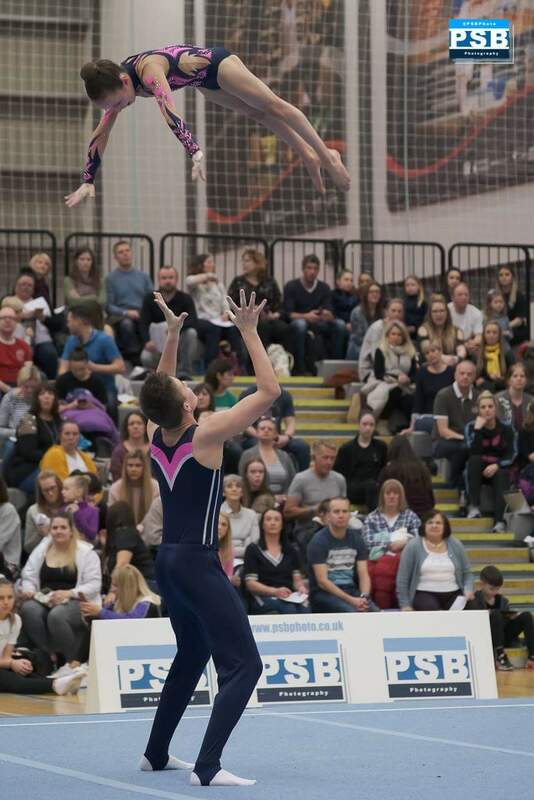 Our newly formed mixed pair of Ethan and Archie, finished in 1st place. …And our returning men’s four, in a higher age group, Bradley, Jack, Jake and Harry also finished in first place! Photos courtesy of PSB Photography. Following a weekend of busy competition, we also had a week of reflection. Our retired Senior Men’s Four headed to Birmingham. 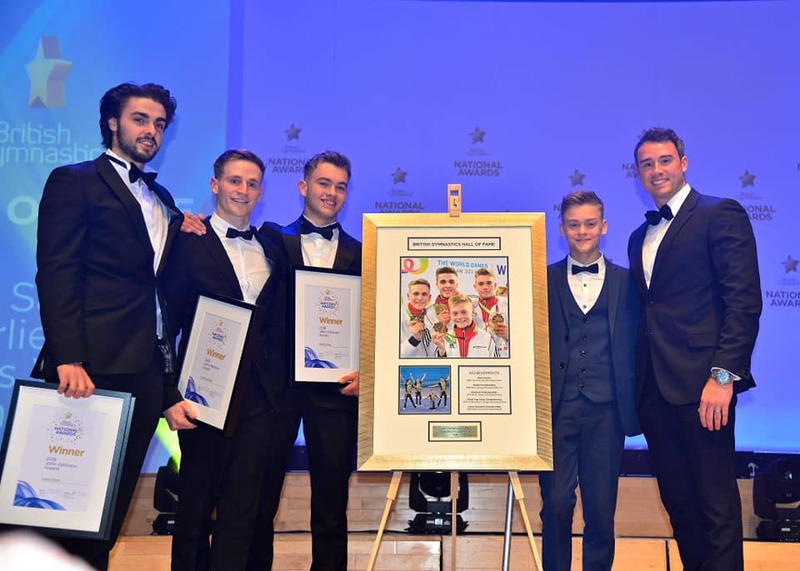 It wasn’t just any night out for the boys, they were invited to attend a prestigious ceremony of achievement. 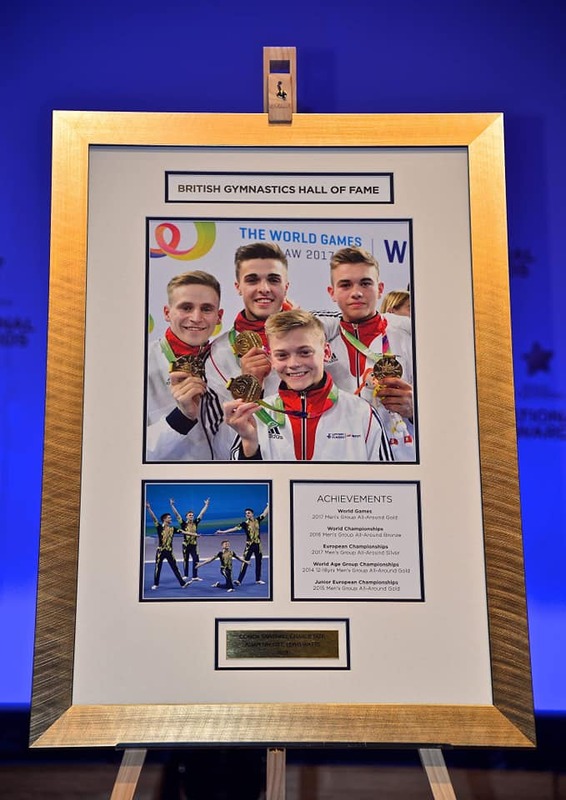 British gymnastics recognised the boys for their success and dedication to the sport throughout their career as a four. 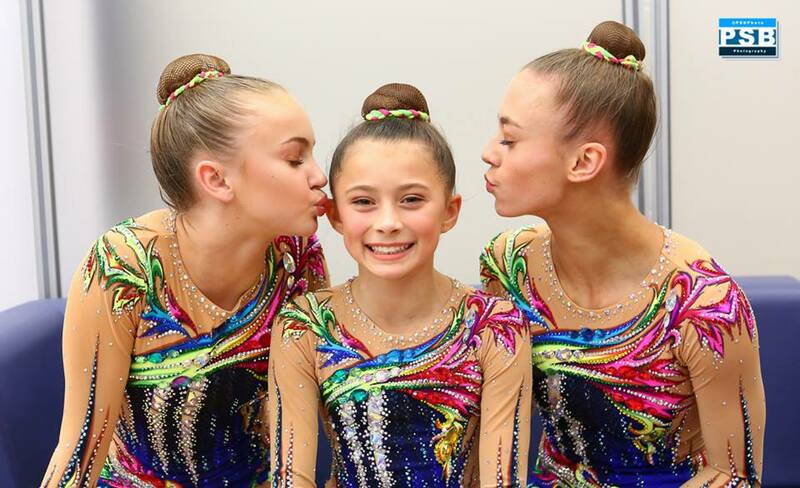 They gained a place in the hall of fame alongside many other talented gymnasts from across the board of disciplines… including Olympic medallists! 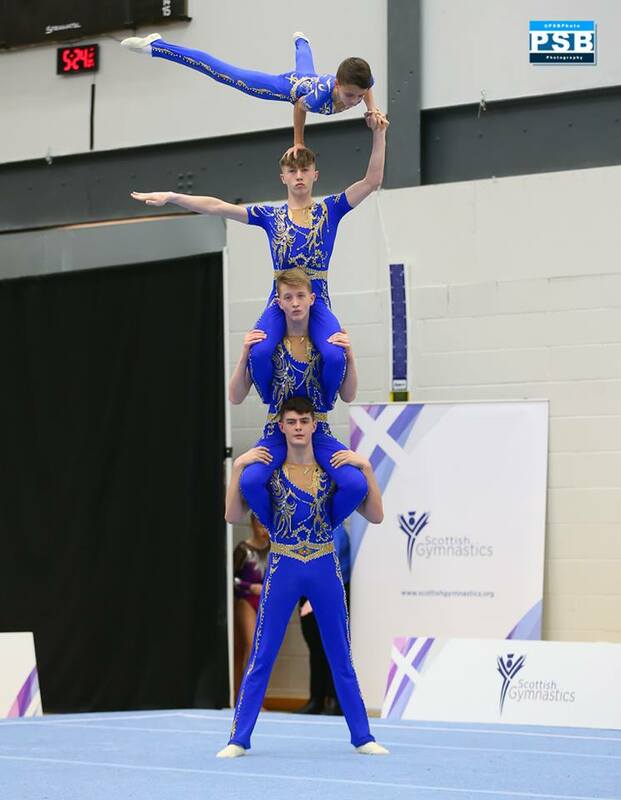 We are super proud of the boys and of the achievements we have, time and time again, with all our club and elite level gymnasts. 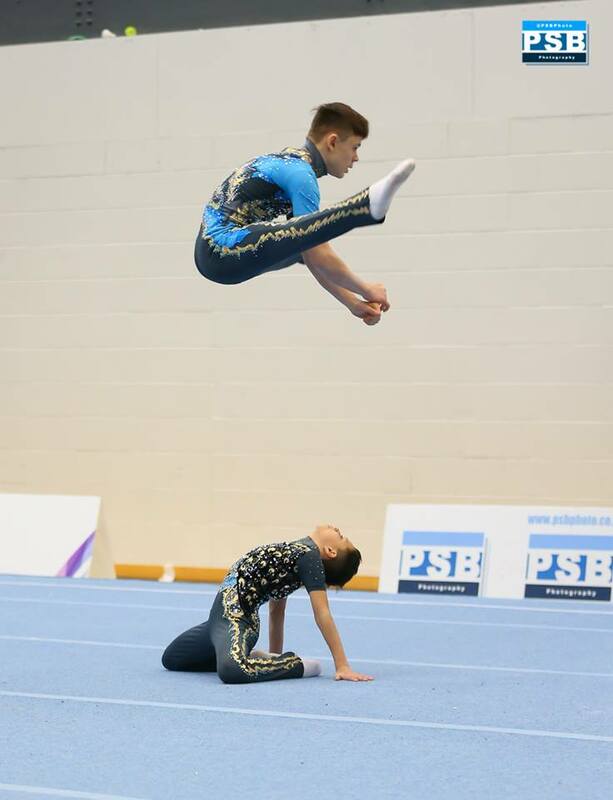 Who knows, one day it could be anyone of our gymnasts joining the boys in the hall of fame and working towards their ultimate career goal within the sport. So far so good for January? Bring on 2019! !